By visiting, using or ordering from this website, you expressly agree to be bound by the following terms and conditions and to adhere to these Terms and Conditions and all applicable laws and regulations governing this web site. If you break these Terms and Conditions, eTicketing.pk reserves the right to prevent your future use of this web site, cancel your order request, and/or take appropriate legal action against you. eTicketing.pk reserves the right to provide ticket upgrades at no extra cost to the client. eTicketing.pk will not be responsible for event postponements or event cancellations of any kind. This includes changes in event date, event time, venue change and weather conditions. All ticket purchases are final. eTicketing.pk is an independent, privately owned company engaged in the service of finding and providing tickets for admission to events primarily in Pakistan. 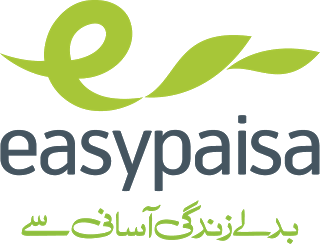 The provision of entertainment packages and related hospitality services by eTicketing.pk are expressly conditioned upon the booking terms and conditions set forth below (also referred to as the "contract"). These Booking Terms and Conditions shall constitute a binding agreement and contract between you, your company and eTicketing.pk; you accept the terms and conditions of this contract when you confirm the requirements of your order in writing, by either a booking form, letter, email, purchase order or facsimile. This contract shall be governed by the laws of the Pakistan, without regard to conflict of laws of principle; it shall be enforced exclusively in the appropriate court and you specifically agree to accept such jurisdiction and waive any objections to United Kingdom jurisdiction over you; if any provisions or portion of a provision is held to be invalid, illegal or enforceable, such provisions will be enforced to the maximum extent permissible so as to effect the intent of the parties, and the validity, legality and enforceability of the remaining provisions shall not be effected or impaired in any way; if any legal proceedings of any nature are brought by eTicketing.pk because of breach of or to enforce or interpret any of the terms of this contract, eTicketing.pk shall be able to recover from you its reasonable solicitor's fees and other associated costs; this contract, together with the description of services provided by eTicketing.pk on its invoice, constitutes the entire agreement between the parties and replaces and supersedes all agreements, promises or understandings, whether written or oral, and cannot be modified unless in writing and signed by the General Manager of eTicketing.pk. If payment is not received within the time limits in clause 2 above, this will be in breach of the contract by the client entitling eTicketing.pk to treat the contract as at an end, and re-allocate the corporate hospitality facilities, bookings and/or tickets without informing the client. In the case of eTicketing.pk treating the contract as at an end, eTicketing.pk shall be entitled to retain all sums already paid by the client. The balance, if any, of the total booking cost shall become immediately payable by the client to eTicketing.pk. This is without prejudice to eTicketing.pk rights to claim damages from the client in respect of any loss suffered by eTicketing.pk. All Sales are final. eTicketing.pk will purchase tickets on-behalf of the customer. Every reasonable effort will be made to adhere to the advertised packages and events, but any package may be altered or omitted or dates changed for any cause which eTicketing.pk at its absolute discretion, shall consider to be just and reasonable. A eTicketing.pk has the right to change the prices in force at any time. When such price is more than advertised, the difference must be paid before services are rendered. If eTicketing.pk increases the price; the client shall be entitled to cancel the booking by giving written notice to be received by eTicketing.pk within seven (7) days of the announcement of the change. In this event, the client shall be entitled to a full refund of any invoice or part invoice paid. All packages and bookings offered are subject to availability. You agree to pay all sales tax or any other taxes, stamp duty fees or charges payable by eTicketing.pk relating to and/or in connection with the supply of services pursuant to this agreement. (a) eTicketing.pk makes no warranties, and specifically disclaims any liability for any services provided by third parties; you agree to waive any liability againsteTicketing.pk for the actions, whether negligent or intentional, of any third parties. eTicketing.pk agrees to act only as your agent and you agree to accept all liability associated with the delivery or use of services or goods provided under this contract, you agree to defend and indemnify eTicketing.pk against any and all damages, awards, penalties, or other liabilities of any nature whether the result of your intentional acts of negligence, eTicketing.pk negligence, or the intentional acts or negligence of third party persons. (b) In any event, eTicketing.pk shall not be liable for death or personal injury suffered by the client or their guests arising out of the booking. The limitations of liability shall also extend to any loss or damage sustained by property or belongings of the client or any guest or for further costs, damages or expenses incurred or suffered by the client arising out of the booking. (c) eTicketing.pk will not be liable for any cancellation of or alteration to the booking or any loss or damage to the client arising out of circumstances beyond its control including but not limited to any act of Allah, natural disaster or act of terrorism. eTicketing.pk ensures confidential handling of all customer data received. We do not share customers data to third parties. Your payment details are protected using 256-bit security during trasmission to payment gateways and are not stored on our information system. eTicketing.pk reserve the right to deliver tickets at any point between the time of purchase and the day of the event. E-Tickets will be available online in My Account section and will also be dispatched by email upon successful payment by any payment method. Best Viewed at 1024 x 768 pixels and above. This Page loaded in 0.02797 seconds on Tue, Apr 23, 2019 (21:14).